Cover Verse: Warning! 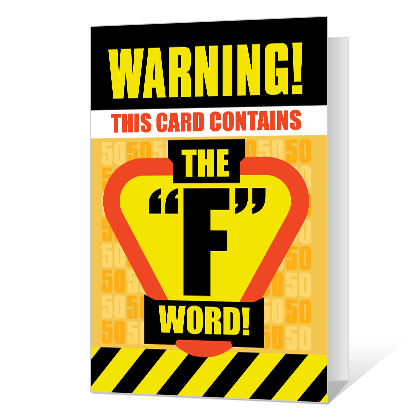 This card contains the "F" Word! Inside Verse: Happy Fiftieth Birthday!